A triple glazed window is one that contains either three layers of glass or two layers with a low-emissivity, or Low-E, film suspended between them. Triple glazed windows, which are high insulation performance, especially in colder climates, were first introduced in Sweden many years ago. Today, they are often found on new construction projects across the U.S. and Canada and are an ideal option for homeowners retrofitting older homes in colder climates. 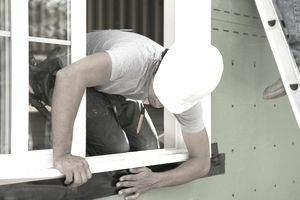 Though a bit more expensive than other windows on the market, triple Glazed Windows are being used more and more frequently now as building codes adopt the Department of Energy's push toward R-5 windows, or hurricane-resistant windows. Triple glazed windows are beyond ASHRAE 189.1 and IGCC standards, although they are now required after the adoption of the 2012 IECC standard. Now and following latest code regulations, triple glazed windows are required in zones 7-8. The Department of Energy is also looking forward to expanding the use of triple glazed windows with its Windows Volume Purchase Program.